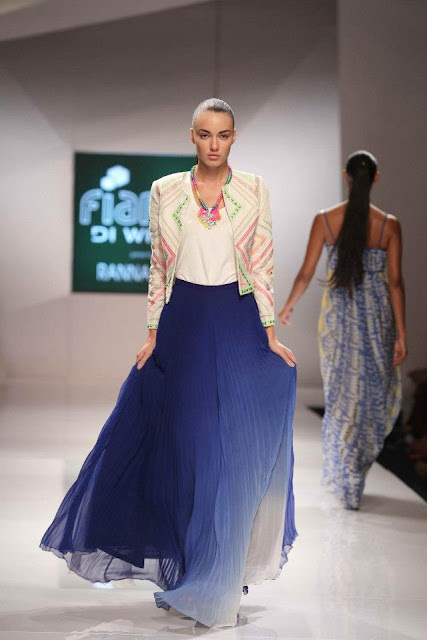 My picks from Day 4 of Wills Lifestyle Fashion Week Spring/Summer 2013. Preeti Jhawar - What a fun collection! 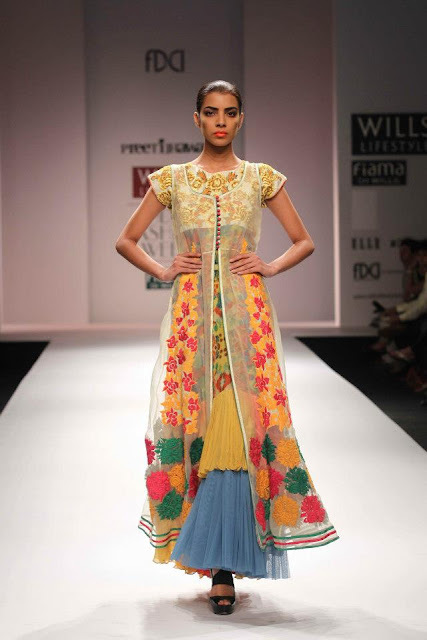 Perfect for a mehndi ceremony. 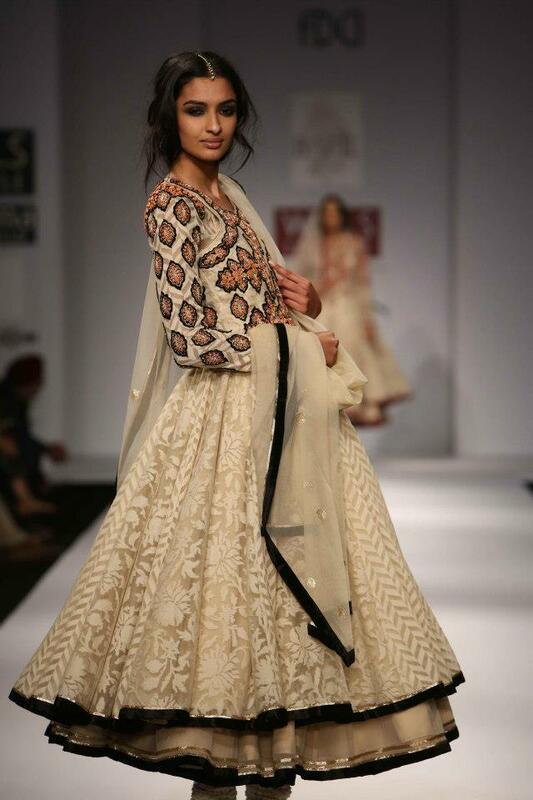 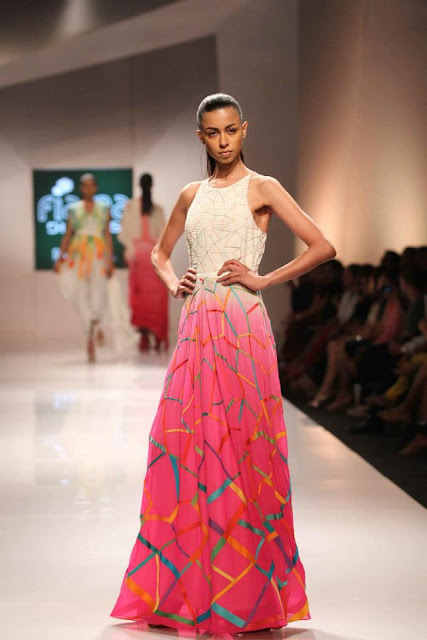 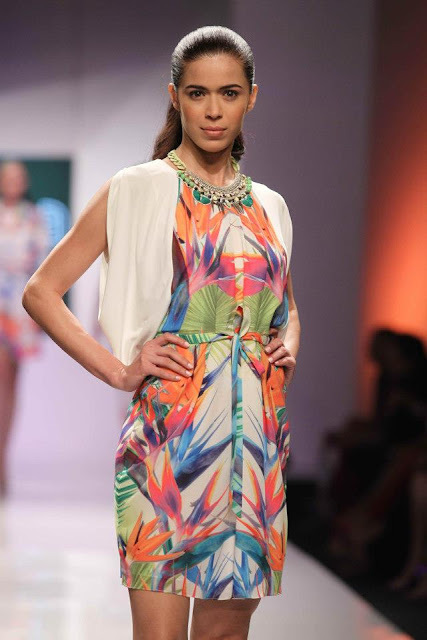 Prerna Bharadwaj - This collection was on and off for me. 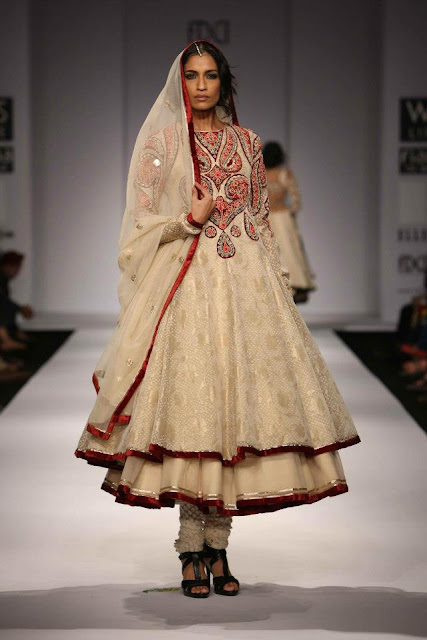 I wasn't feeling the westernized looks (which I didn't include below), but I liked the bridal looks. 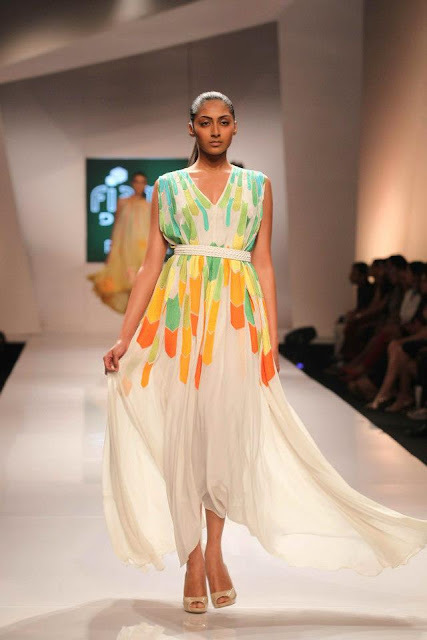 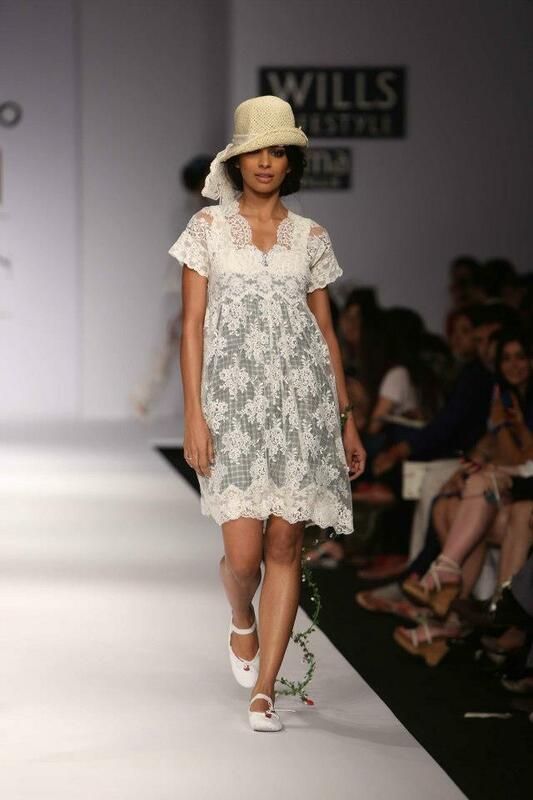 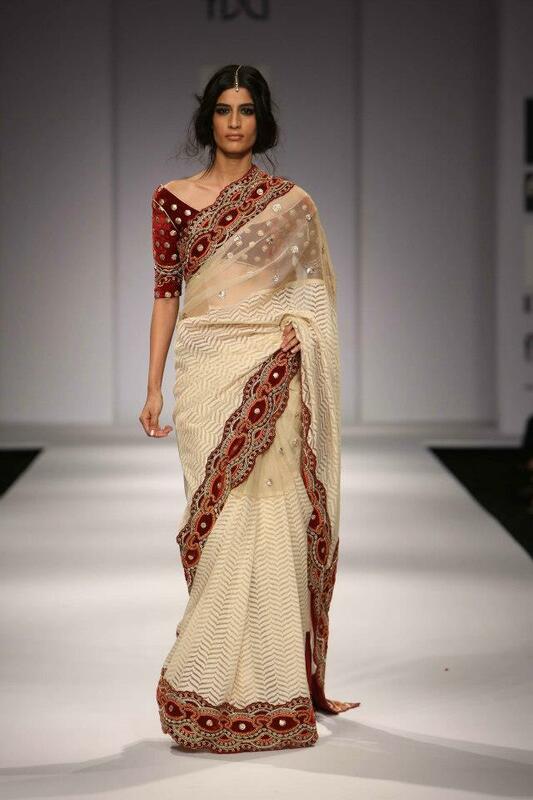 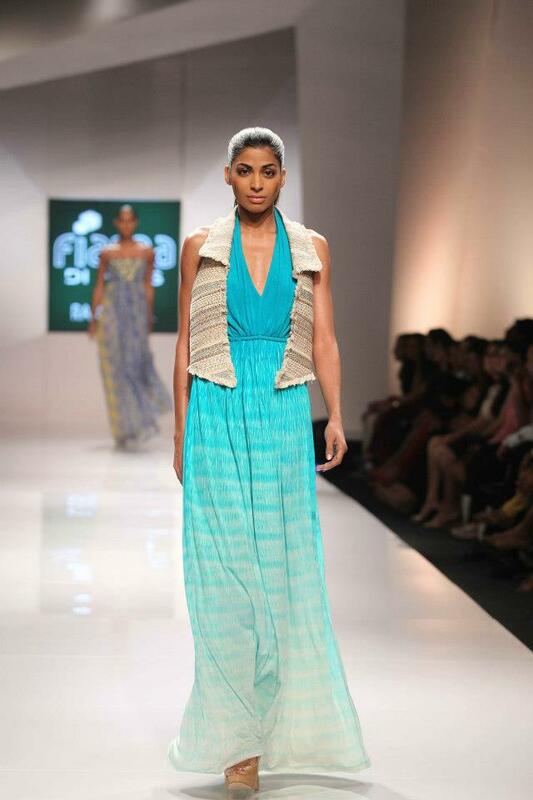 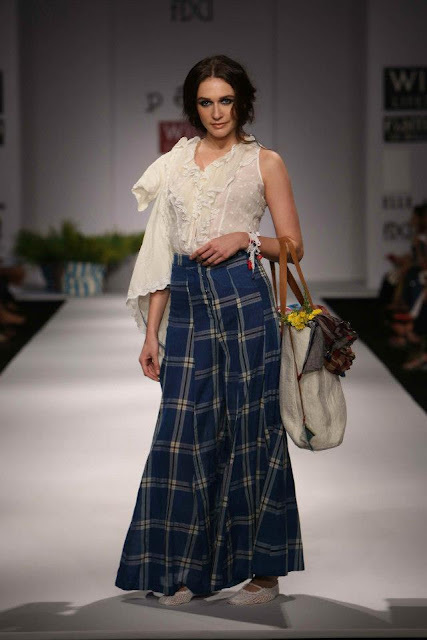 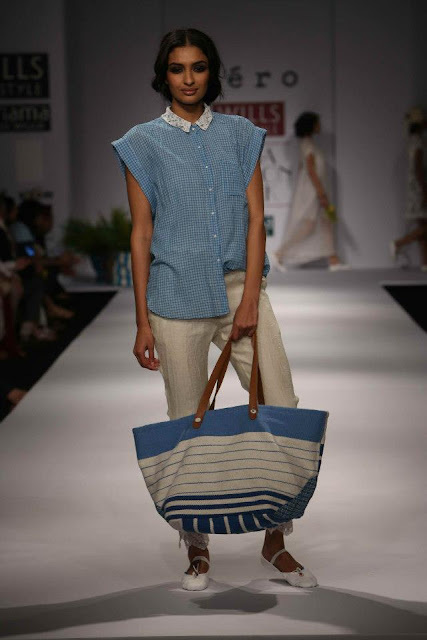 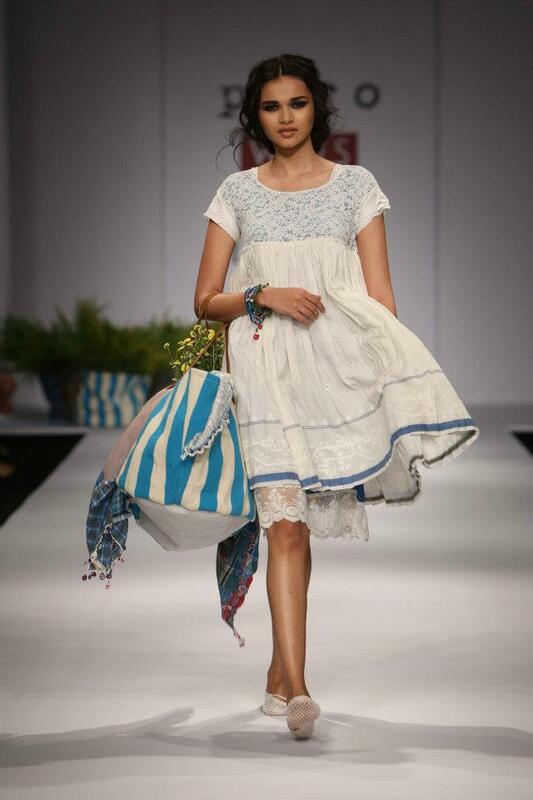 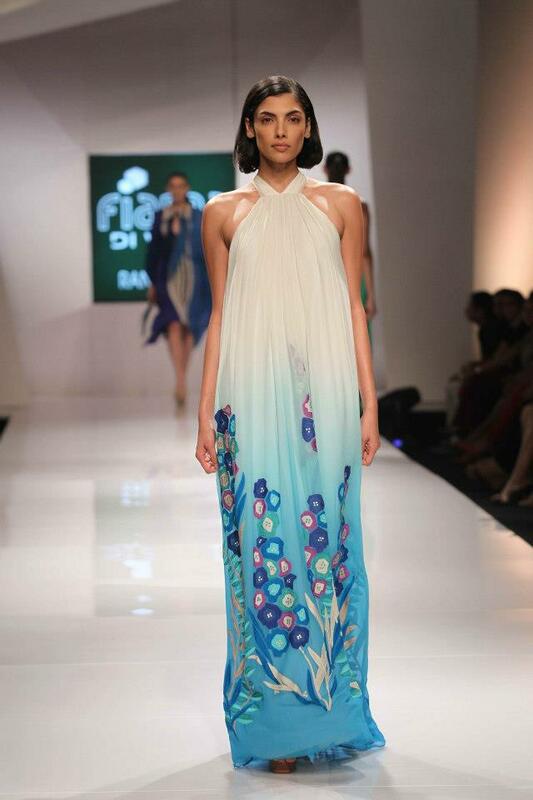 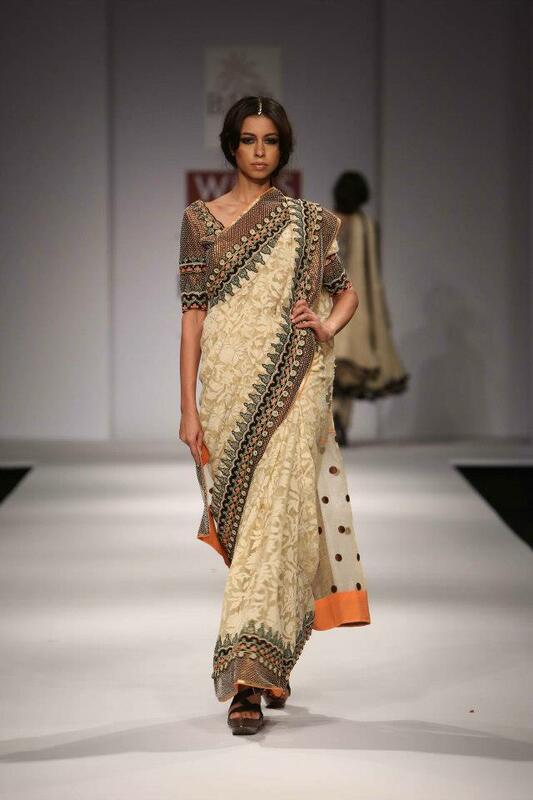 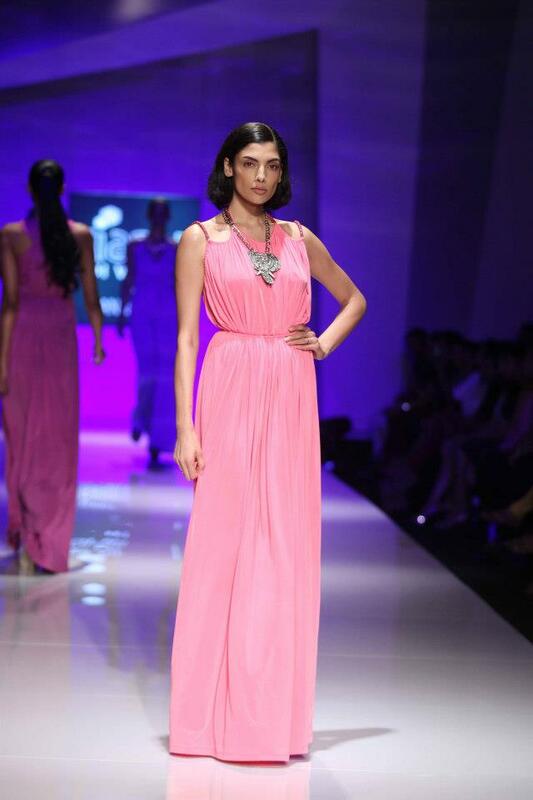 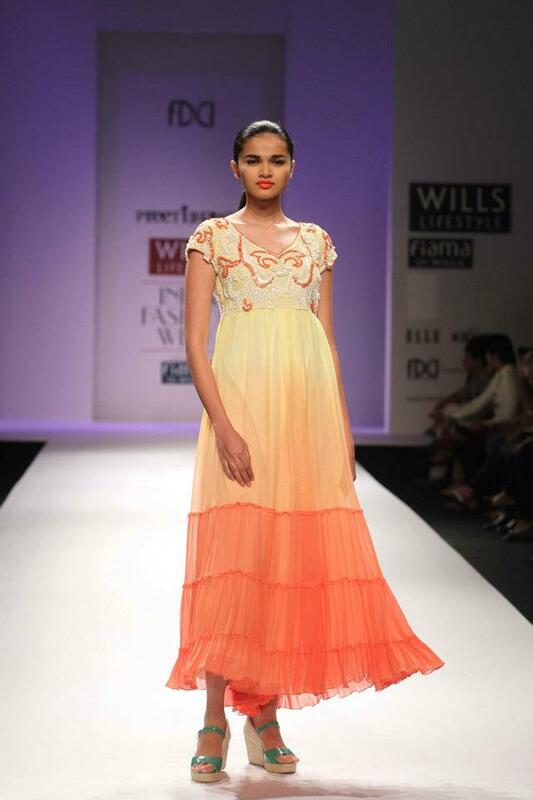 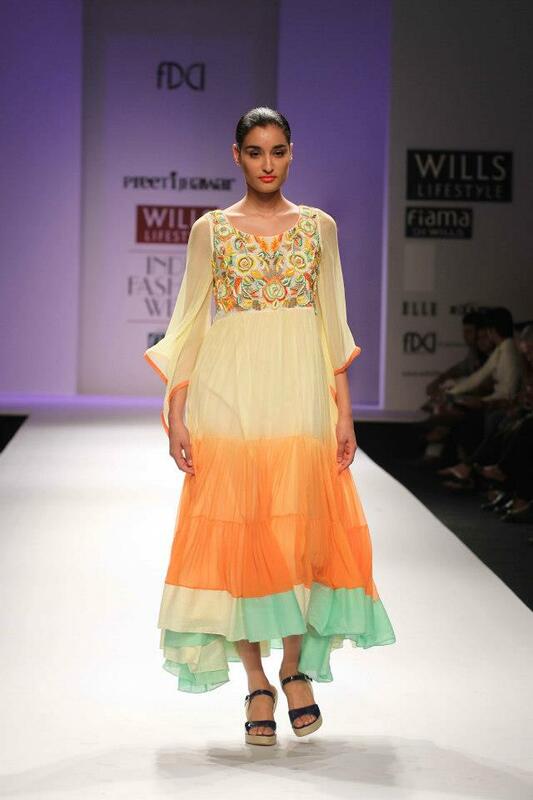 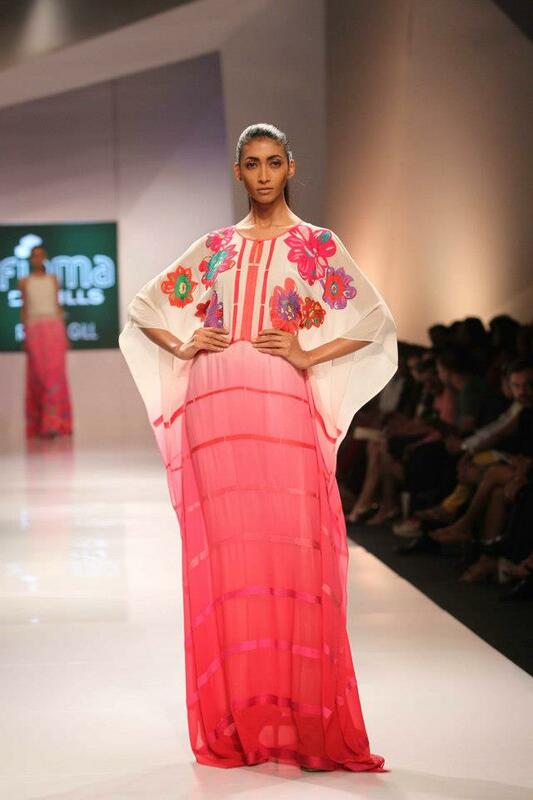 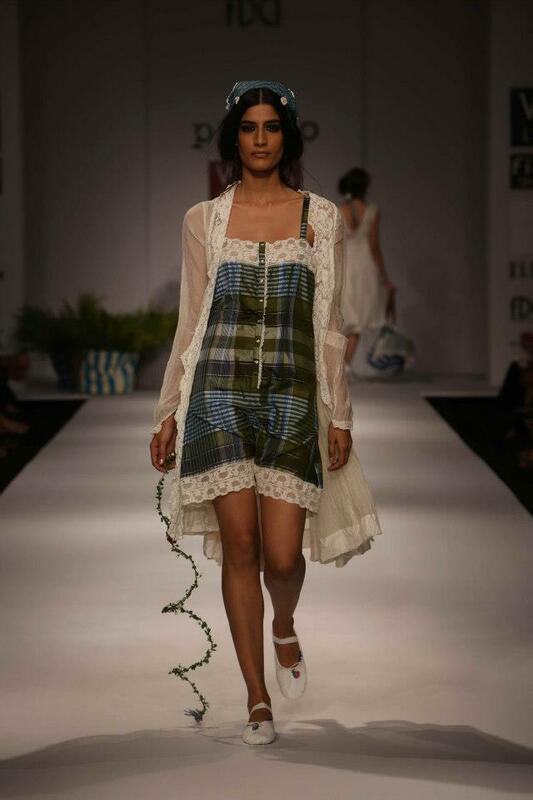 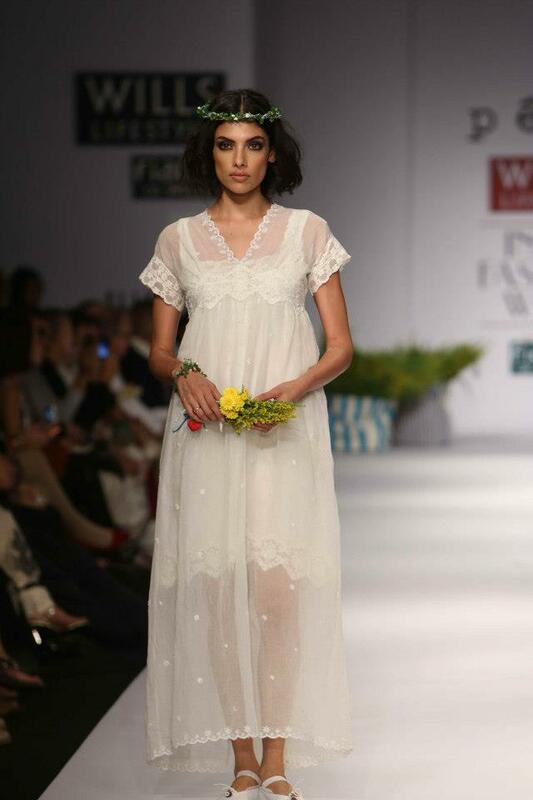 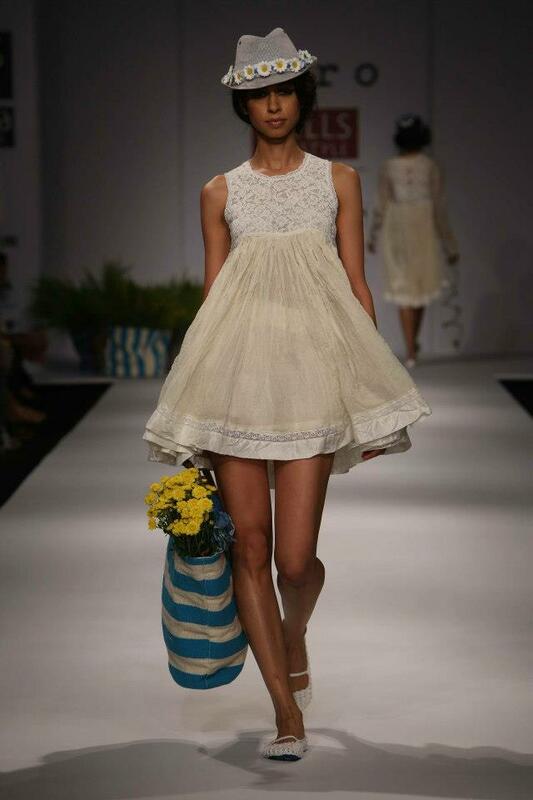 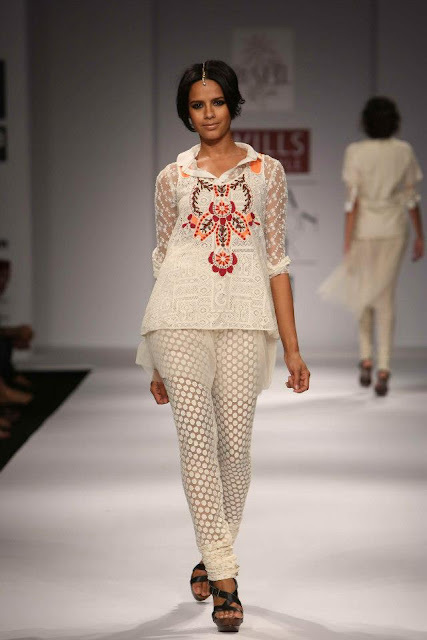 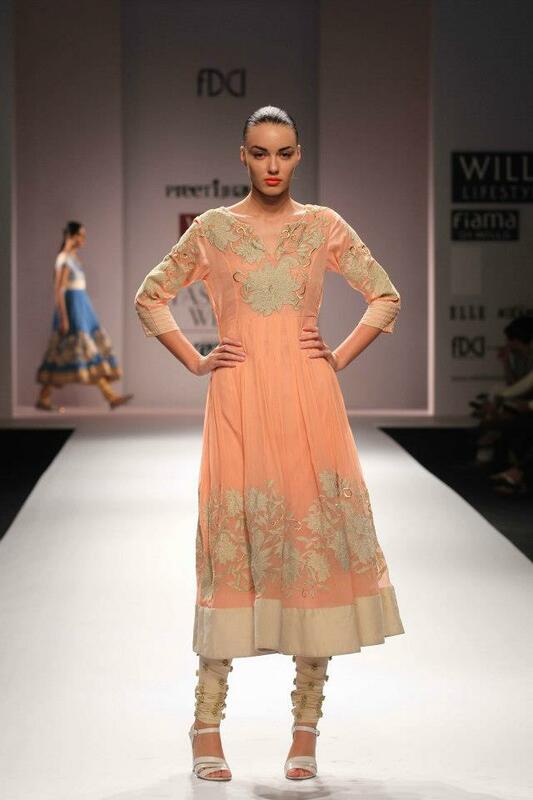 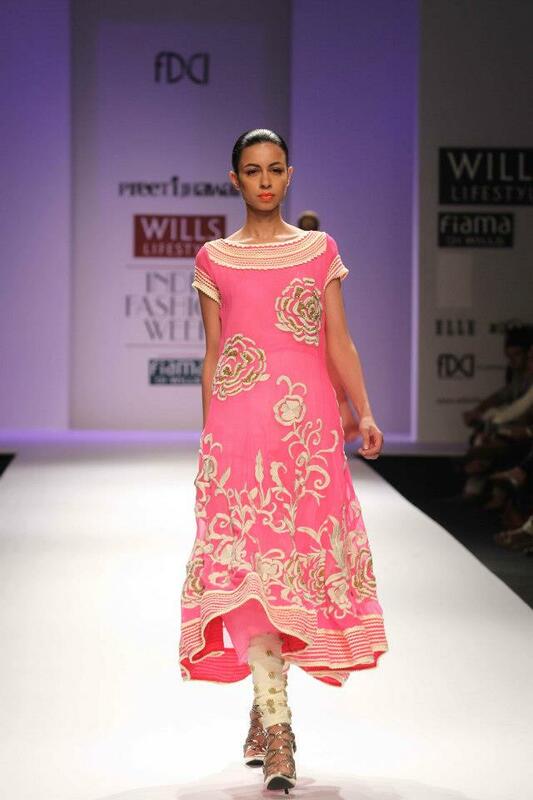 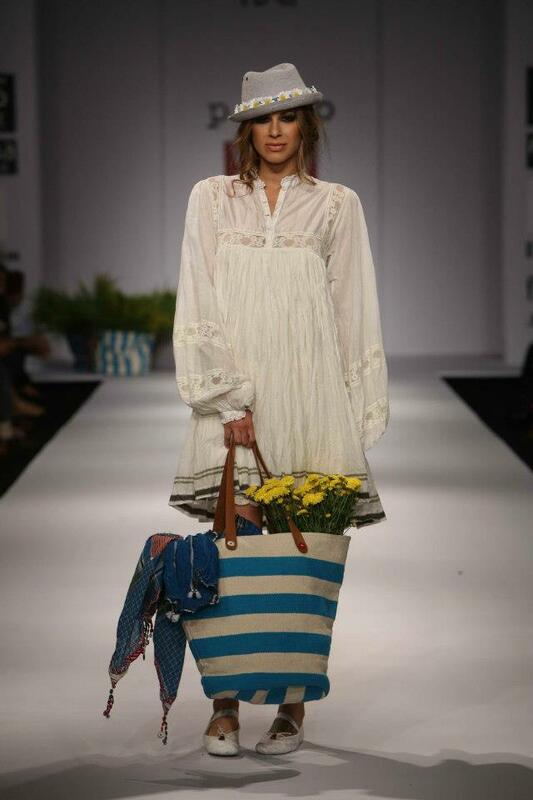 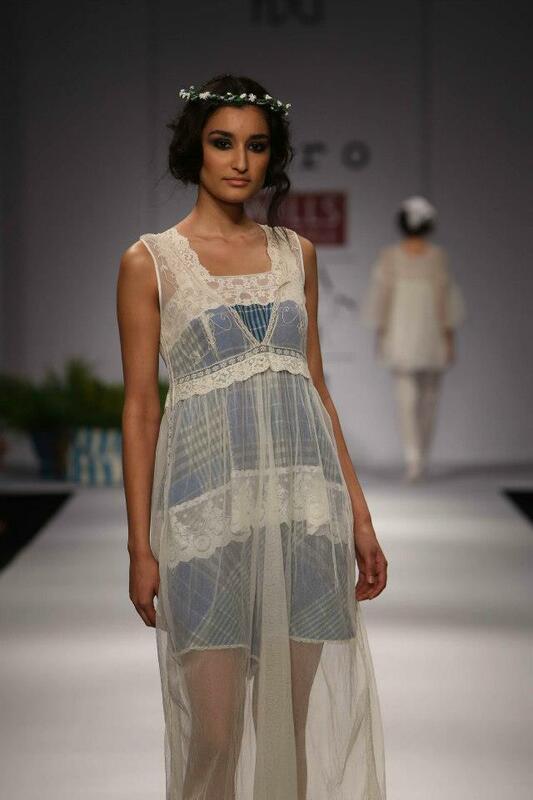 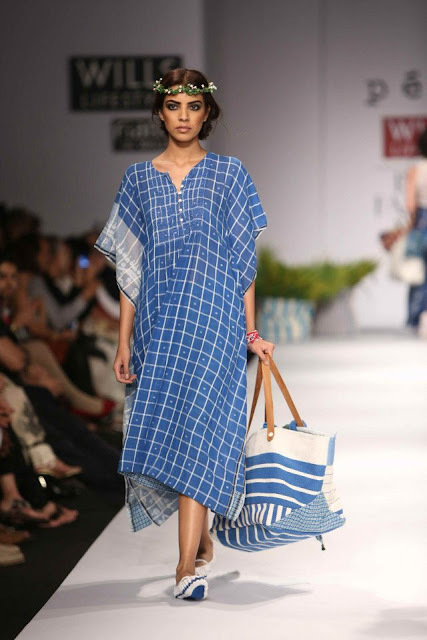 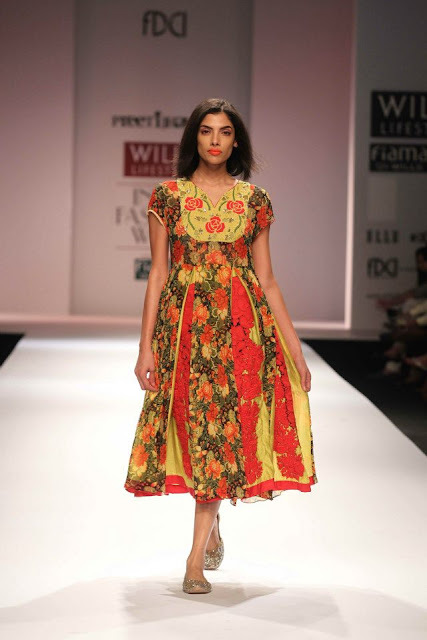 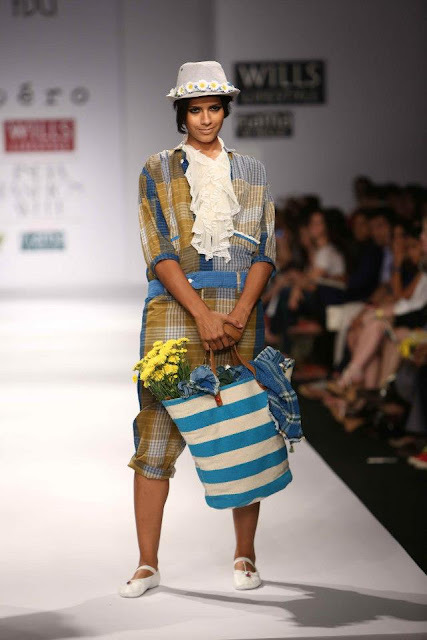 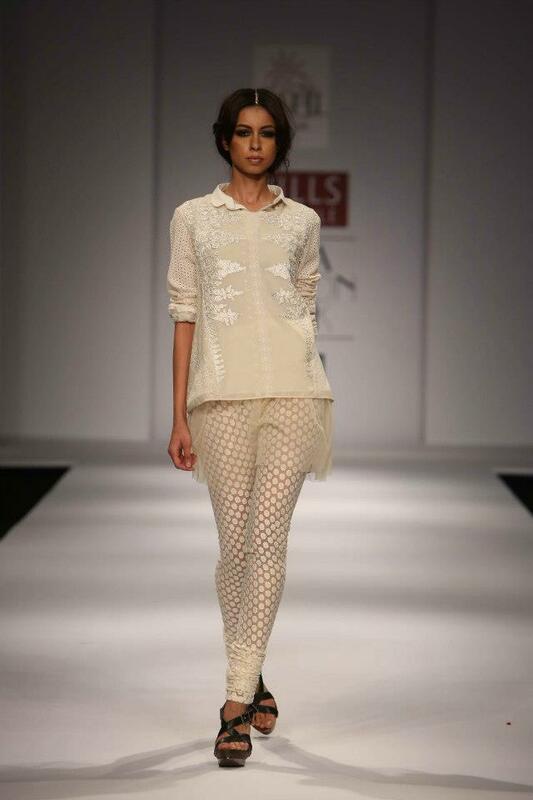 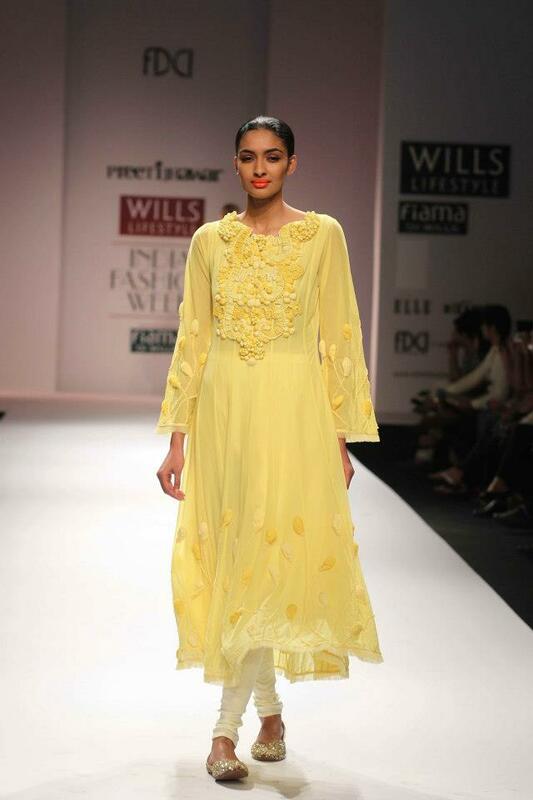 Pero by Aneeth Arora - A very summer prairie girl feel to this collection. Love it! 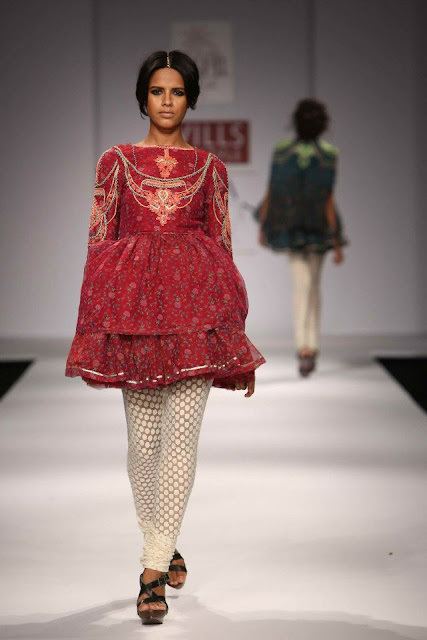 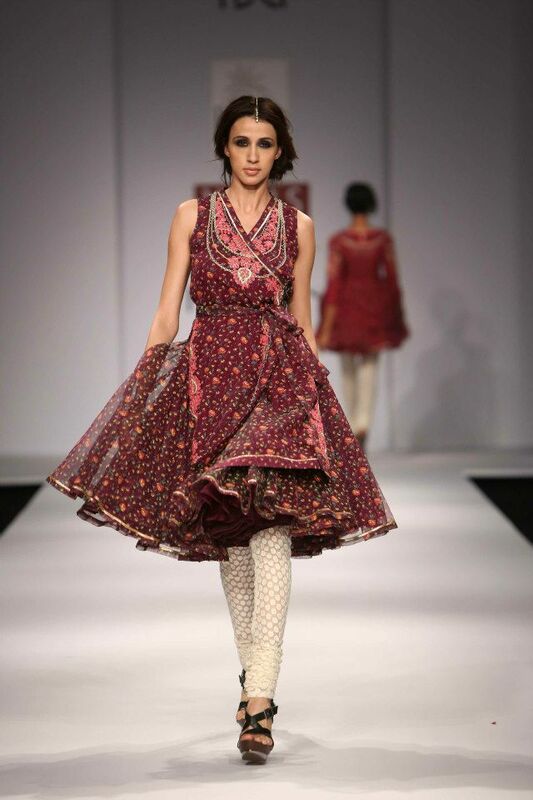 Vineet Bahl - A great designer, Vineet incorporates an Indian fusion feel to all of his pieces. 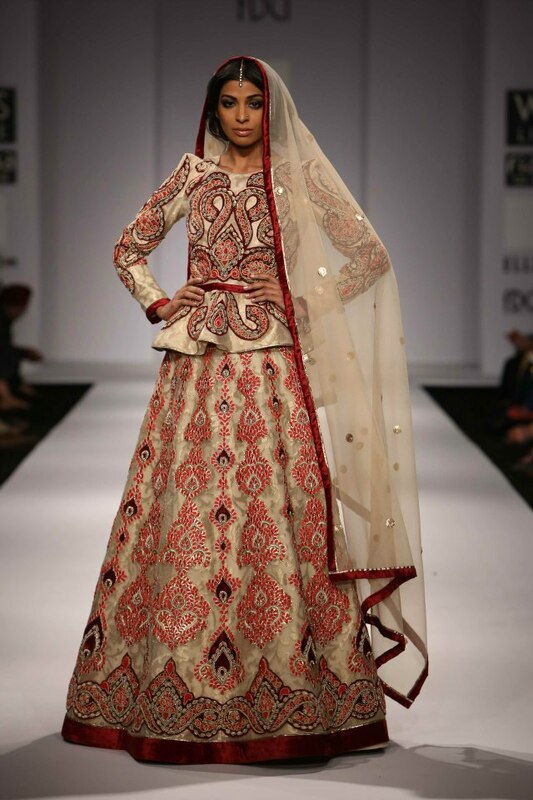 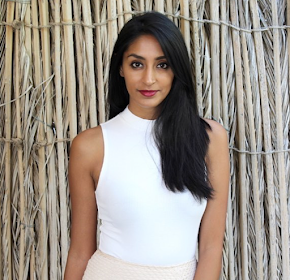 I love the lengha with the peplum style structured blouse. 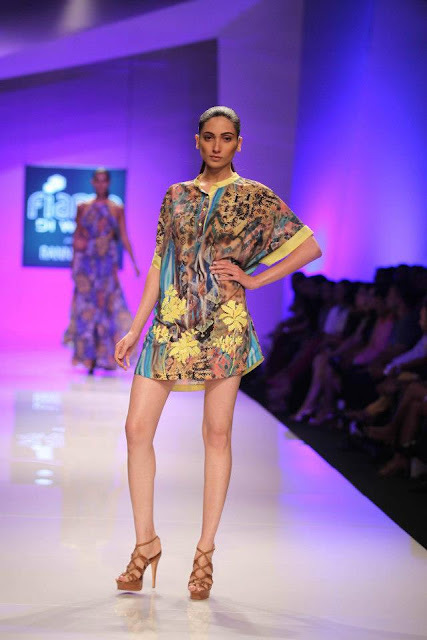 Fiama Di Wills Presents Ranna Gill- Going on a vacation to someplace warm? 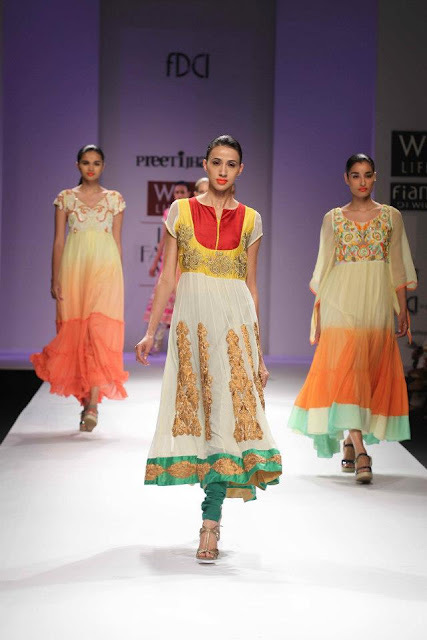 Then this is the collection for you. 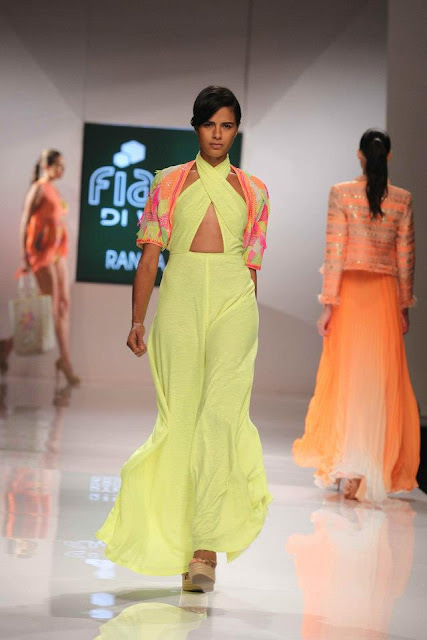 Very go with the flow and relaxed, perfect to wear over a bathing suit.